You are here: Home / Computers and Internet / Premise 2.0 has Arrived! One of the most satisfying privileges I enjoy is working with great software. Premise by Copyblogger is great software for building awesome, effective landing pages to help convert interest into sales. As with all great products, no matter how good they are, their developers continue to strive to make a great product even better. And the folks at Copyblogger have done just that with the release of Premise 2.0. 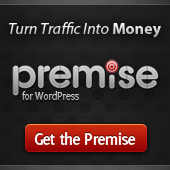 Premise is now a complete digital sales and marketing system for WordPress, but instead of raising the price right away, Copyblogger is offering the Ultimate Plan for Premise 2.0 for $70 off the regular price of the old Premise!